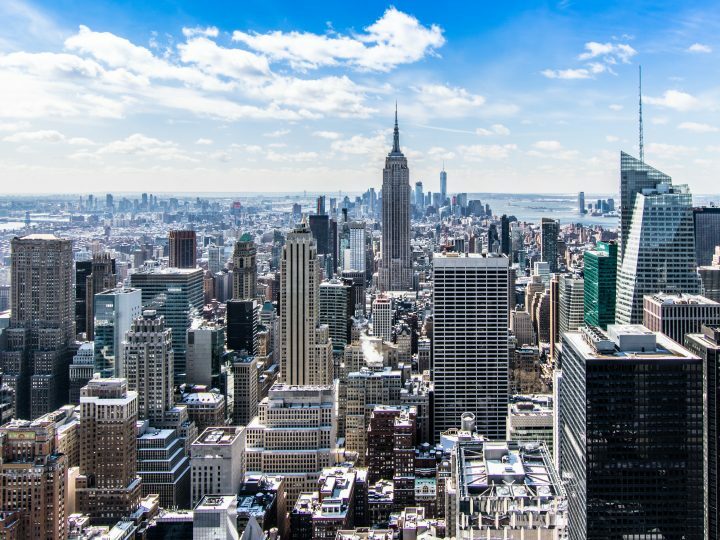 Earlier this year, we shared five of our favourite technology offices around the world. How does the UK & Ireland fair in comparison? 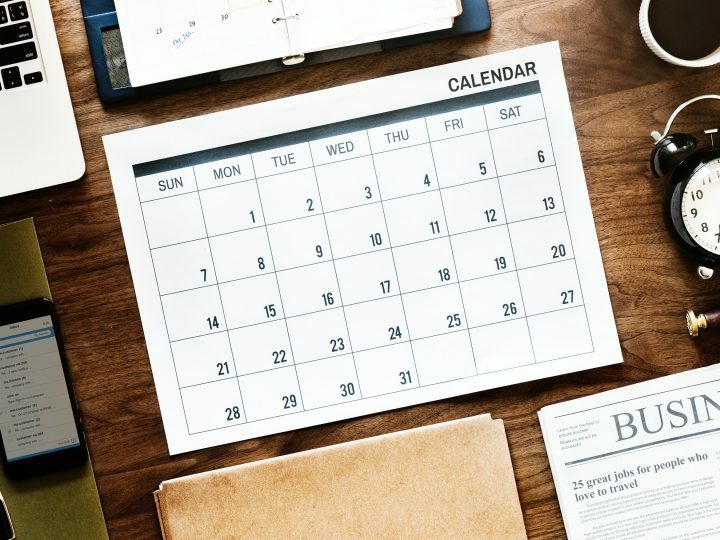 Many technology companies are getting creative with their office space, encouraging productivity, a team mentality and collaboration in the workplace, all whilst making their environments more positive and enjoyable places to be. Below are four of the best, and one we’re a little bias about. In their own words, “Zendesk builds software for better customer relationships”. 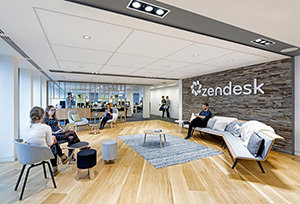 Spanning 8,470 square foot, Zendesk’s London office follows the theme established in their offices worldwide. Their core values are embedded in the design of their work environments; humble, charming and uncomplicated. The office layout is simple and modern. Founded in 2003 and headquartered in San Francisco, USA, in their own words ‘Splunk was founded to pursue a disruptive new vision: make machine data accessible, usable and valuable to everyone’. 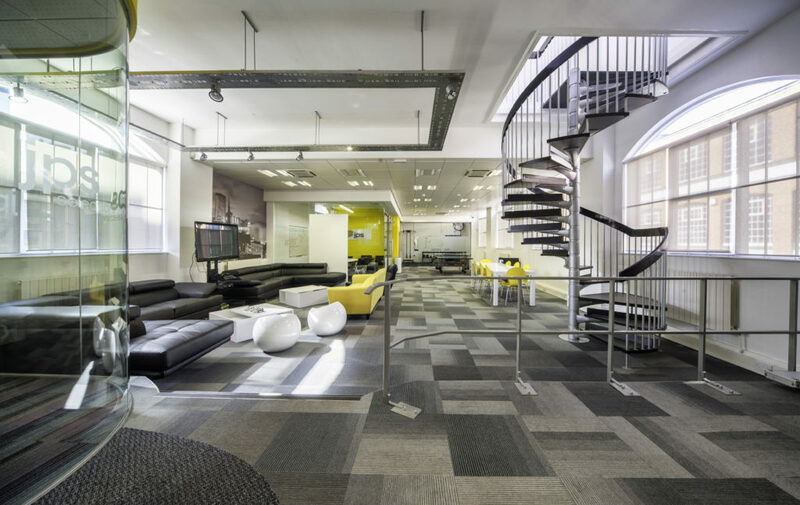 Combining effortless cool with stylish practically, Splunk’s London offices are innovative and edgey, much like their brand. Featuring bespoke graffiti, train carriage meeting room, railway arches and a tardis-style demonstration room, they draw inspiration from the nearby surroundings; neighbouring Paddington Station, London. 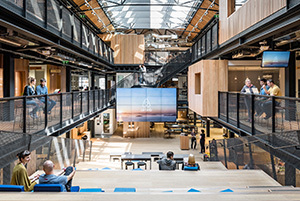 Utilising a disused warehouse, Airbnb have made use of an incredible space to make their International Headquarters. Based in Dublin, the office space is a clever collaboration of open-plan and intimacy; creating 29 neighbourhoods of the same components but each with an individual style and look. The focal point of the space is a large, bleacher style staircase (known as ‘The Agora’) connecting the basement to the first floor. The staircase doubles up as a conference space, and a comfortable working environment. A list of amazing offices spaces within the tech sector would not be complete without Google. 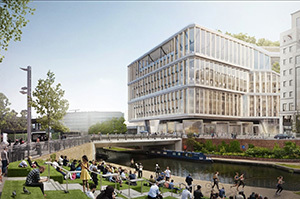 At the start of 2017, Google announced plans for their next office project; an 11-storey, 92,000-square metre “landscraper” as their new Headquarters in King’s Cross. London. It will be the new home to 7,000 employees and construction is due to begin in 2018. 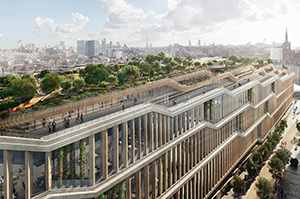 The offices will have a rooftop garden spanning the entire roof of the building (featuring a 200-meter running track, the “trim trail”), a 25 meter, three lane swimming pool and a ‘multi-function’ games area for basketball and football. There will also be a wellness centre with gyms and massage centres, as well as four on-site cafes. Encouraging ‘clean living’ amongst its employees is also pulled through to the commute to the office. 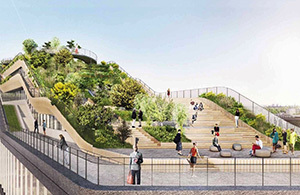 The development is set to feature 686 bike spaces and only four car-parking spaces. Even their current offices have a lot of benefits. From secret garden roof terraces, ‘granny-chic’ design of the communal areas and meeting spaces, to free breakfast and canteen food as well as a free bar. Google truly are the forerunners for imaginative office spaces, and it’s great to see this will only be further advanced with their latest development. A list of the UK & Ireland’s best offices would not be complete without our own! 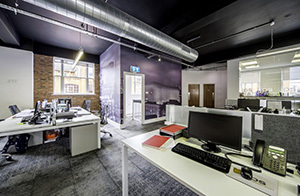 Located in the Jewellery Quarter district of Birmingham City Centre, JPS Selection’s offices feature a Ping-Pong table, games consoles and an on-site gym. An industrial theme runs throughout the building with exposed brick and metal, and there’s wall art featuring the Birmingham skyline. A JPS office would not be complete without our signature yellow, which you can find throughout our offices. It’s a great place to work! 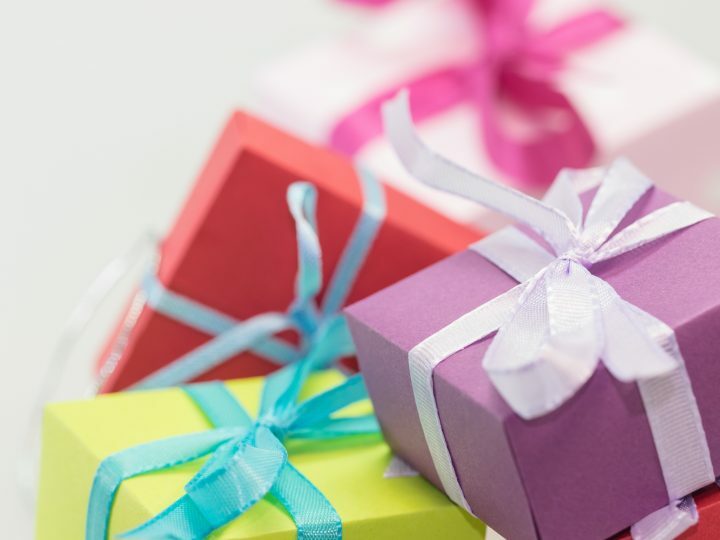 Check out our reasons why, here. 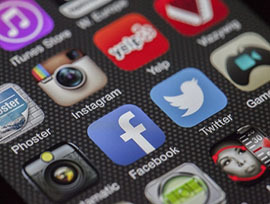 These are some of the best offices in the UK Technology sector, but are we missing some? Let us know at [email protected] !